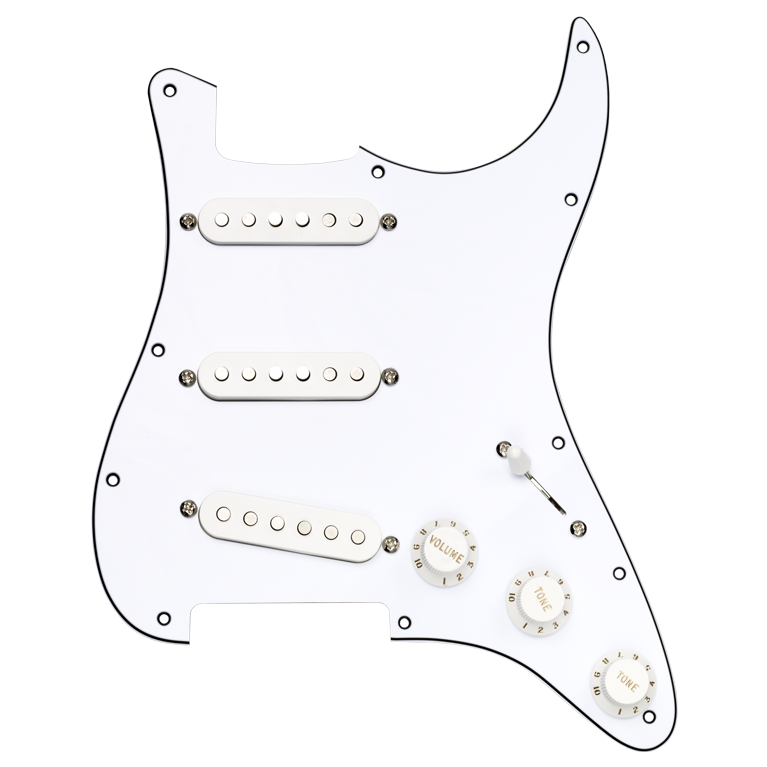 The HS™ Strat® Replacement Pickguard features solderless connectors for easy installation in any guitar with a standard 11-hole pickguard. The pickup configuration is an HS-4™ in the neck and middle positions and an HS-3™ in the bridge. The HS-4™ pickups provide plenty of presence and brilliance, particularly on the high strings, with no 60-cycle hum. The HS-3™ is very similar to the HS-4™, with a symmetrical magnet staggger that helps to produce a sweet overdrive tone and no jagged edges. These qualities combine perfectly with a heavily distorted amp because they don’t get muddy or messy. Great for classical metal tones.